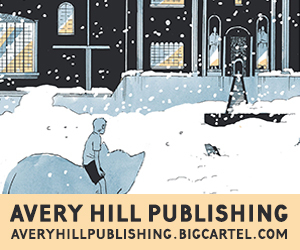 Yesterday at Broken Frontier we published the first instalment of a two-part interview with Ricky Miller and Dave White, the team behind Brit micropublishers Avery Hill Publishing. 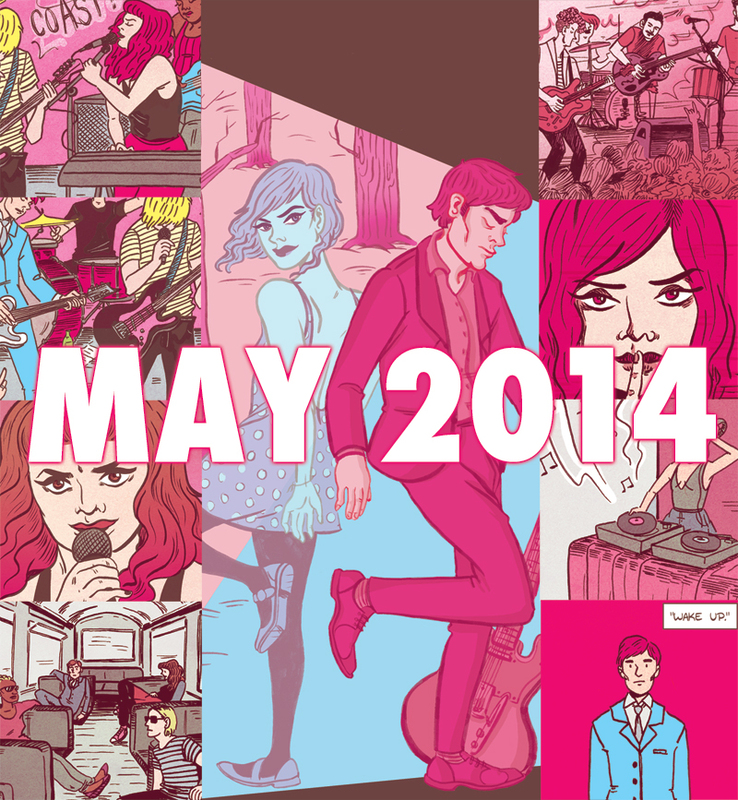 In day two of our chat the gents focus on their stable of creators including Jazz Greenhill, Tim Bird, Owen D. Pomery and Mike Medaglia, and talk about their exciting publishing schedule for 2014. 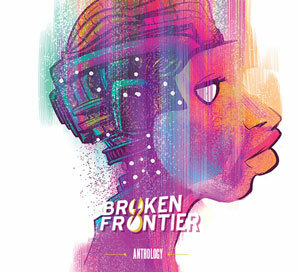 BROKEN FRONTIER: The American micropublisher model seems to finally be gaining some ground over here in the UK as a viable alternative to individual creators self-publishing. In that regard how do you see your role as publishers of the creators under the AHP umbrella? Would it be fair to say you are more curatorial than editorial? RICKY MILLER: When Dave and I first discussed expanding what we were doing to take on projects by other people, the stated minimum ambition was that we wanted to bring something to life that might never have happened if it wasn’t for us. We were more influenced by record labels like Factory than by traditional publishers. We’d love nothing better than to wildly misjudge the sleeve costs on the comic book equivalent of Blue Monday or have the whole thing come crashing down by our equivalent of having to bankroll the Happy Mondays recording an album in Barbados. In that regard we did start off quite curatorial and were only really there to do proof-reading and making decisions on design, paper stock, covers, etc. More recently we’ve been a lot more involved from the ground up and have seen different versions of scripts and been able to make suggestions and also be involved in some of the decisions regarding the artwork. Part of that was us needing to gain the confidence and experience to make suggestions to people who have been doing this kind of thing for a while. We’ve done our apprenticeship and now we feel like we have something to contribute. 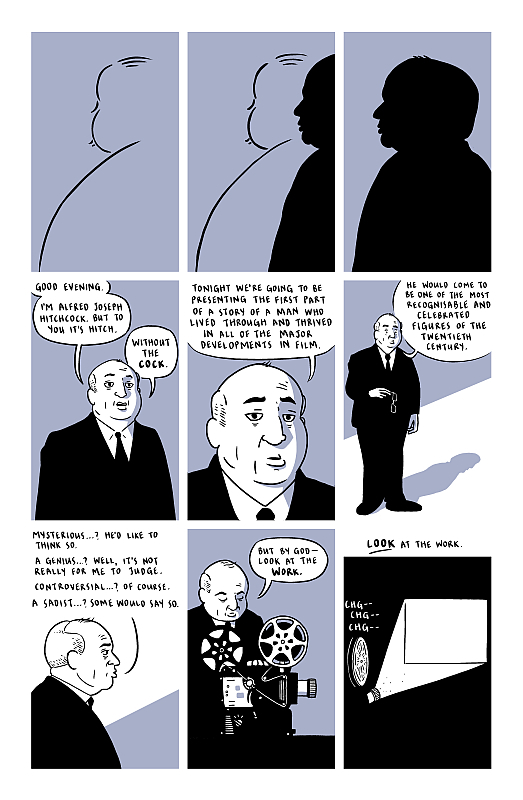 Even now though we just advise rather than dictate, it goes back to the Dave Sim stuff, creator control/ownership is key. BF: Moving on to some of those individual creators working under the Avery Hill Publishing banner. 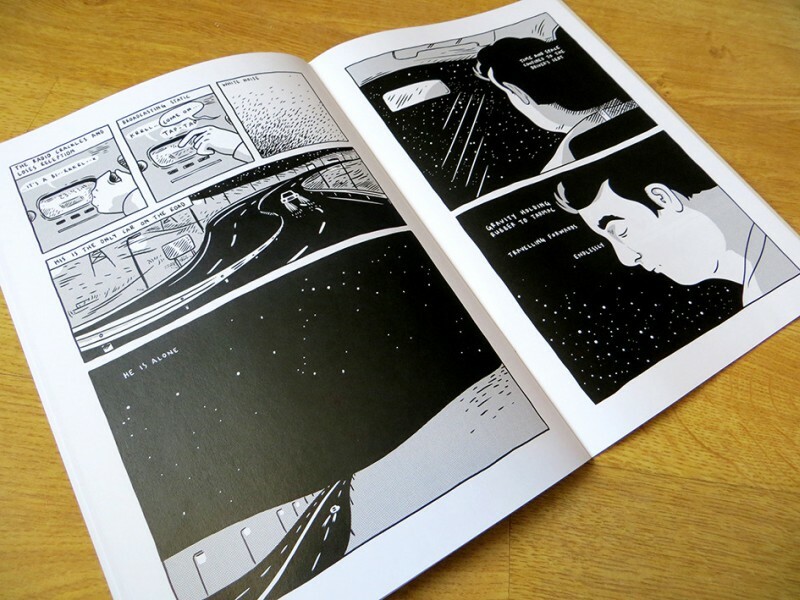 Tim Bird’s Grey Area series has thematic links with the work of creators like Oliver East and Simon Moreton, in that it fits in to that same psycho-geographical strand of slice-of-life/autobio comics. 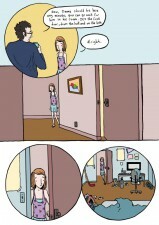 How would you describe Tim’s distinctive narrative approach to the comics page and what can we expect from him next? DAVE WHITE: Tim was the first person we didn’t know previously to contribute to Tiny Dancing, and when he sent me over his comic ‘The Unknowable City’ for Tiny Dancing #6, I instantly fell in love with his style. 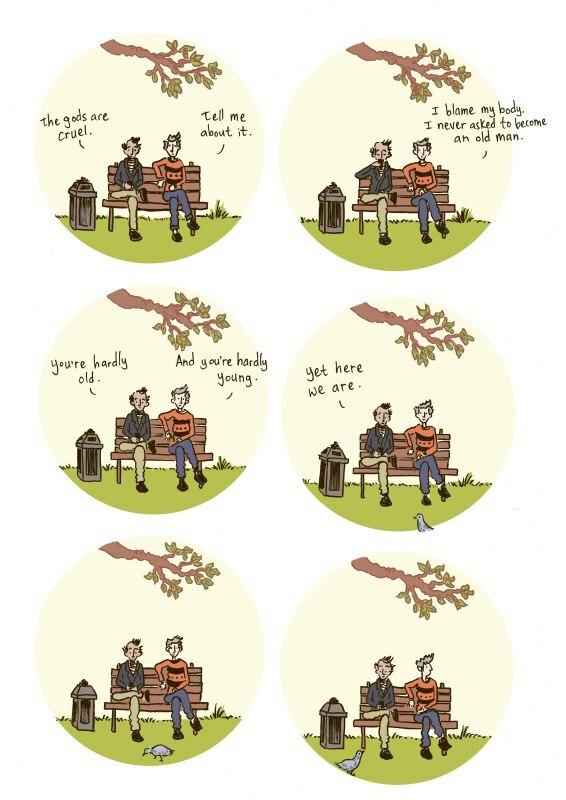 I look upon Tim as a poet, who happily for us all chooses comics to tell his stories – and he finds his inspiration in the things that the rest of us might overlook, or not realise the beauty of. 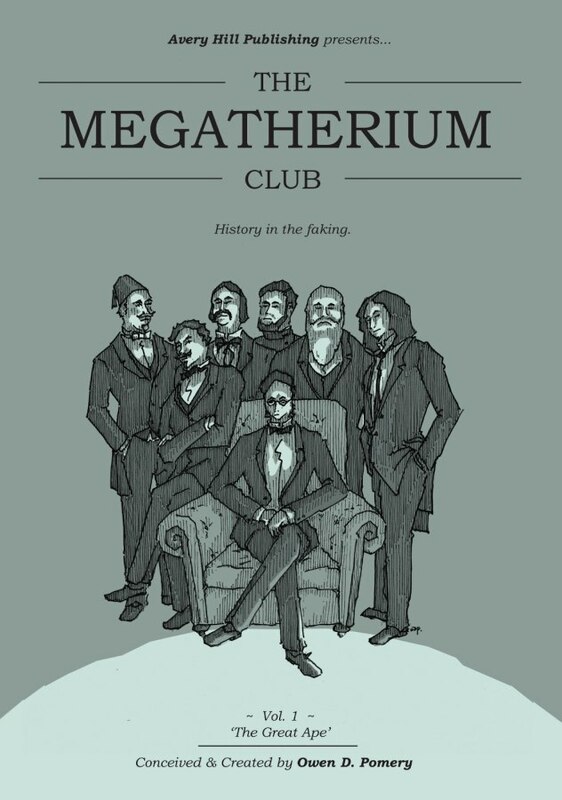 BF: Owen D. Pomery’s slapstick historical romp The Megatherium Club was something of a revelation after his more pensive and reflective storytelling in his self-published Between the Billboards series. How did you discover this other side to Owen’s work? MILLER: Dave, Michael and I had company meetings where we’d mentioned Owen and said that he was someone that we wanted to work with. 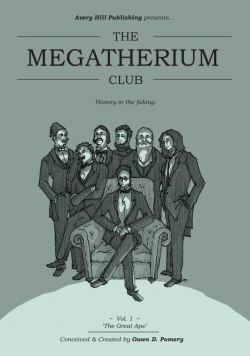 I was planning on approaching him but before I got around to that he sent me a 4-page strip over on spec for Reads called The Megatherium Club. As soon as I read it I knew it was exactly the project we’d want to work with him on and I suggested he should expand it and we’d put it out as a longer comic. Owen is a very funny and intelligent guy so it’s no surprise he can switch between serious and comic, he’s good to have in a pub quiz and also for drinking heavily with afterwards! 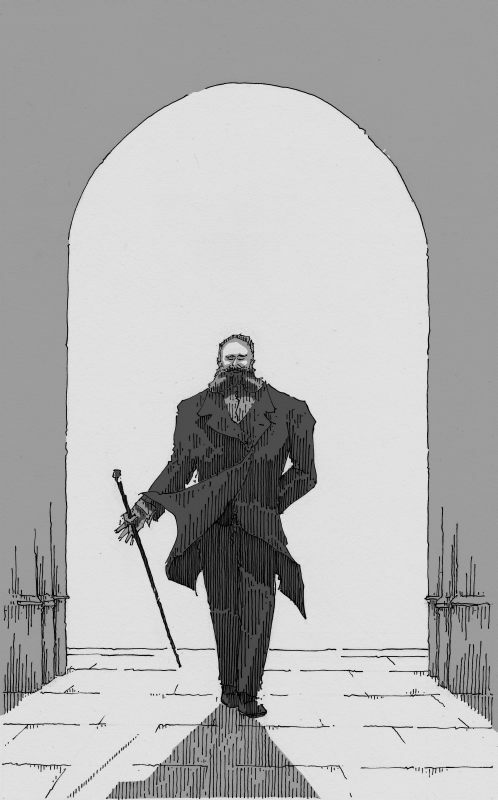 He’s currently working on a follow-up to the Megatherium Club story which we’re going to be serialising in Reads. I’ve seen a little of the new style of artwork he’s come up with for it and it’s absolutely beautiful, I’m really looking forward to showing it to people. BF: I had encountered Jazz Greenhill via her minicomic Source of Distraction before you published her first longer form work last year but I think it’s fair to say that the remarkably confident The Festival was most assuredly her breakout comics project. What was it about her style that made you consider her as a potential addition to the Avery Hill ranks? 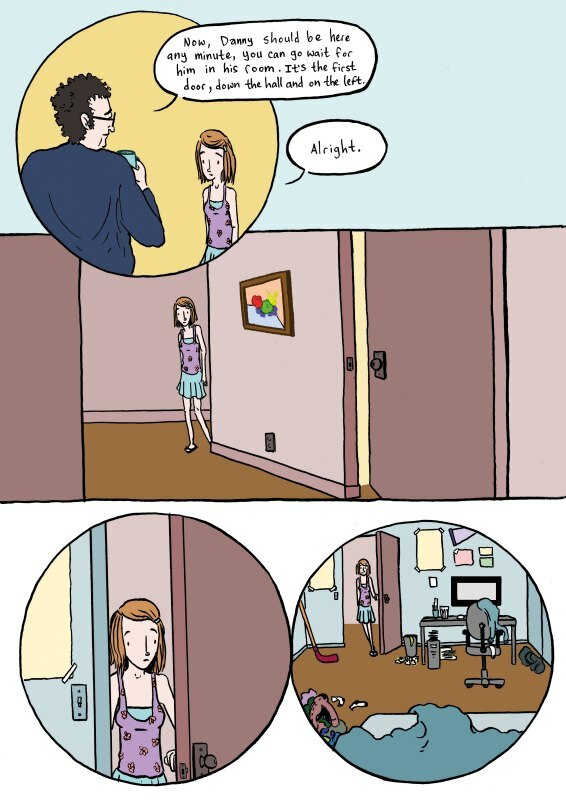 MILLER: We met Jazz when we were tabling next to her at a comics festival a couple of years ago. I picked up a copy of her comic Skipper & Morris which was about ten pages of photocopied pencils stapled together into a zine. 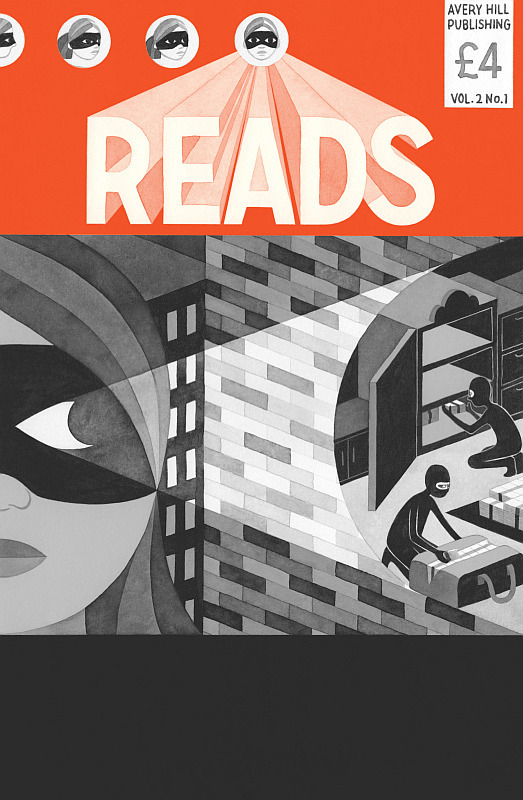 When I read it I couldn’t believe how good it was. The art was great but the main thing for me, as is always the case, was that the writing was so strong, funny and massively charming. Her whole sensibility was slightly odd, but in a way that was brilliantly in tune with the kinds of things I like. I think it’s still my favourite thing I’ve ever bought in small press comics. I emailed her pretty much the next day to say we’d put out anything she wanted to do, but she was still in college at the time and too busy to do anything. However, a few months later she decided she wanted someone to publish her comic that she’d produced as her course work and we immediately said we’d love to do it. She’s currently working on a back-up strip for Metroland #1 and hopefully we’ll have some other announcements regarding work from her soon. 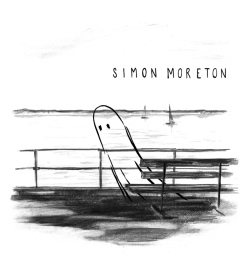 BF: Simon Moreton – another regular ‘Small Pressganged’ favourite – gets his own collection from Avery Hill this year. I’ve made no secret of my belief that Simon is a unique creative voice on the British small press scene (see my review of the last issue of Smoo Comics here). 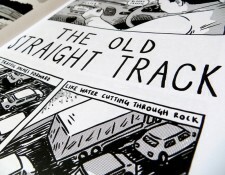 How exciting a prospect is it to be compiling material from Smoo Comics under the AHP banner? WHITE: We consider Simon to be one of the foremost small press creators we have in this country, so to be working with him on collecting together his work from 2011 and 2012, which will be titled “Days”, is massively exciting for us. Coming across Simon’s work a couple of years ago really opened my eyes to the sheer extent of the talent that’s out there, and helped inform where we wanted AHP to go, and since then we’ve had the pleasure of getting to know Simon personally as well, so it’s a project that means a lot to us. We’re putting the finishing touches to the book now, and it’s going to be a beauty – we can’t wait for people to see it! WHITE: I first came across Mike’s work in his Wu Wei anthology, and we started talking about possible projects we could work on together in the pub after the launch party for the second volume of Wu Wei last summer. Mike had a very definite idea that he wanted to present a series of vignette-type short stories, linked together by an overarching theme of seasons, both literally and figuratively, in a very tightly contained framework. He’d more or less completed the first story for Spring – I remember him showing me those pages in the bar, and they blew me away – and he had the outline for the remaining stories more or less down as well. Mike works ridiculously quickly, so we’d get together every week more or less, he’d have the latest story finished, we’d discuss the next one, and take it from there – within a month or so we were done, and Mike had produced a truly beautiful book, perfectly capturing his narrative approach and voice. The most demanding part of the process was actually the printing, as we wanted to launch it at Thought Bubble, setting ourselves a pretty hard target. Rich Hardiman, who printed it for us, worked miracles to get it ready in time, and we finally got them through the day before the festival started – I had to sit in Ricky’s house to receive them whilst he was on the way up to Leeds, and I ended up getting the 6am train up the next morning – but it was absolutely worth it, as the response at Thought Bubble was incredible. 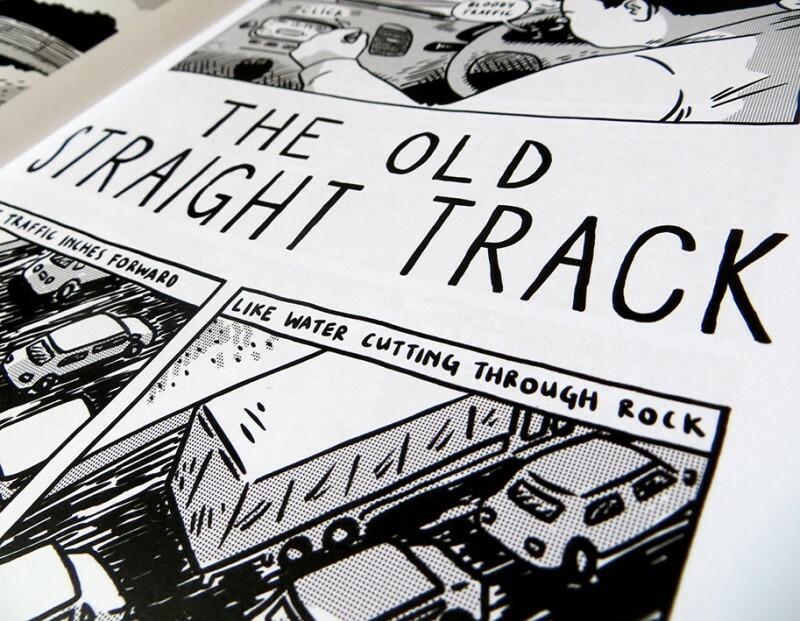 I’d strongly recommend keeping an eye on Mike this year – as well as being longlisted for the Myriad First Graphic Novel Competition earlier in April, he’s got some amazing projects he’s working on – he’s going to be a star in the not too distant future, mark our words! BF: Last year was a big year for Avery Hill with so many quality projects from you. 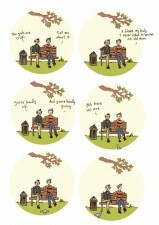 Indeed two of your offerings made my annual “Top ten” small press comics feature here at Broken Frontier. I know you have a number of equally exciting books coming out from familiar creators in 2014. Could you spill the beans on some of those publications? 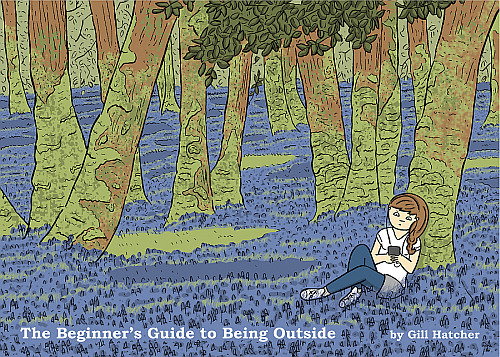 WHITE: As well as Simon’s collection, the launch of Metroland, and the start of volume two of Reads, we can tell you about The Beginner’s Guide To Being Outside, an all-ages comic by the wonderful Gill Hatcher (cover below) that will be out in the summer, and would ask that you keep an eye out for some announcements soon that just might include the likes of Alex Potts, EdieOP, as well as new work from Jazz, Owen and Tim. BF: And, finally, when can we expect to see the Absolute Offensive Derek the Badger deluxe hardcover collection?